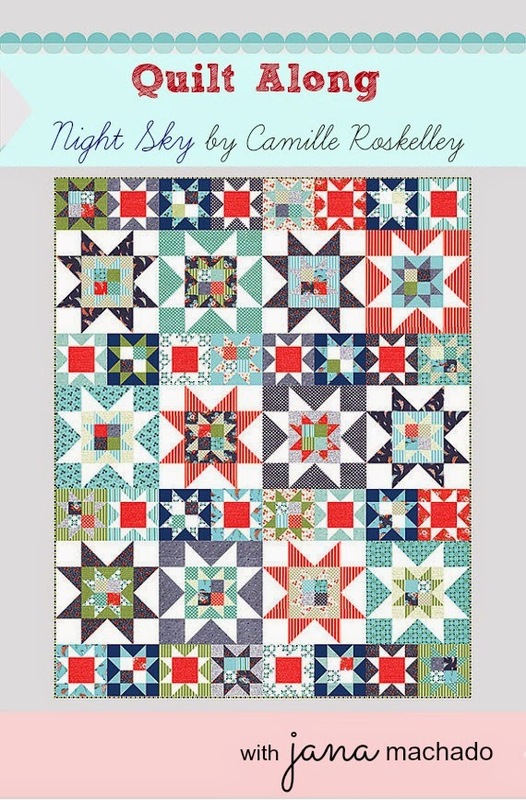 In this quilt along Jana is walking us through Camille Roskelley's beautiful night sky quilt. A beautiful quilt with traditional roots that combines two sizes of a star with variations. It's a beautiful quilt that you could do with just about any fabric collections or maybe even scrappy if your stash has enough of them!